Hello! Hope you all had a great weekend! 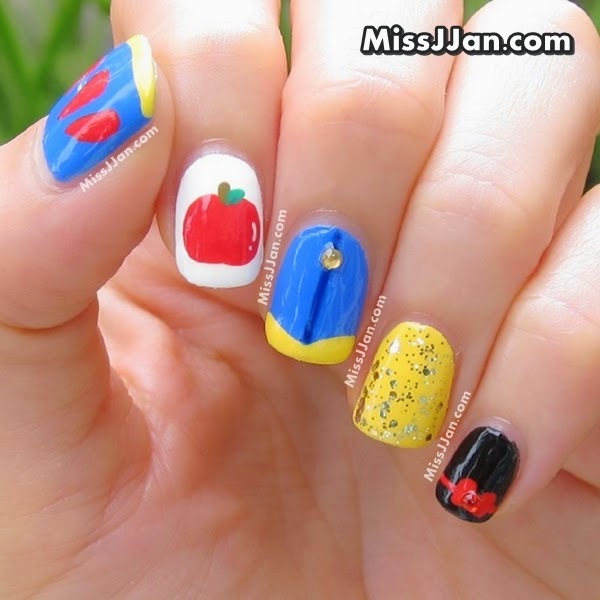 Today's Manicure Monday post is a Walt Disney Snow White Inspired nail art. Snow White was one of my favorite Disney princesses growing up. I'm super excited to share this manicure with you as I really like how it turned out. 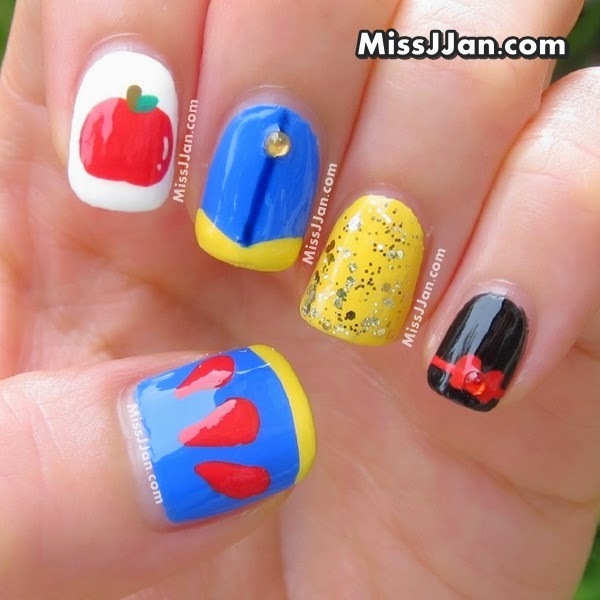 I love doing character nail art at the moment, I think they are just super fun and cute on the nails! ♥ Acrylic Paint in: white, red, brown, green. I hope you like and enjoy this post and tutorial.